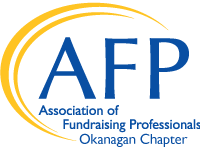 AFP Okanagan is happy to promote job opportunities on our website as well as through our social media platforms and newsletter. This offering is free for those who have memberships with AFP Okanagan. For non-members we can offer the same support for $50. To add a posting, please email afpokanagan@gmail.com for more information.